The Cleveland Browns' pro shop will make stuffed 'Rally Possums' available prior to this Sunday's matchup vs. the Los Angeles Chargers. In a tweet posted to its official Twitter account on Thursday, the Browns' Pro Shop revealed that stuffed 'Rally Possum' dolls will soon be made available at FirstEnergy Stadium. The doll is a play on the possum that was sighted -- and then caught by a fan -- at FirstEnergy Stadium during the Browns' 21-17 victory over the New York Jets on Sept. 20. 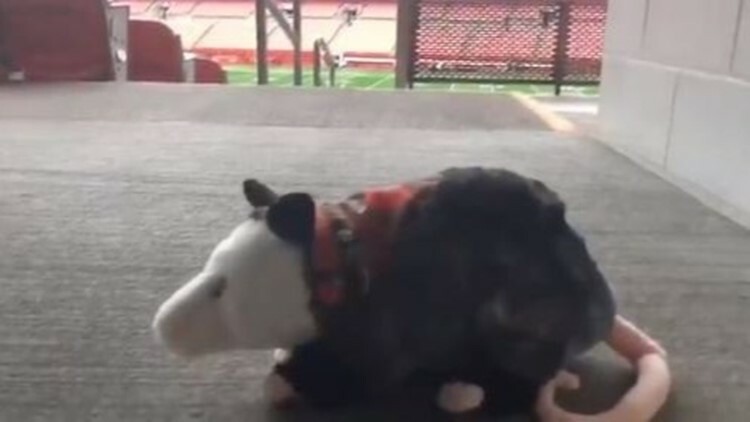 After "its" debut during Cleveland's first victory since the 2016 season, the 'Rally Possum' was then spotted prior to the Browns' 12-9 victory over the Baltimore Ravens this past weekend. While it remains to be seen whether or not the real-life 'Rally Possum' will make another encore this weekend, thanks to the Browns' pro shop, we now know it will maintain a presence at the stadium on Sunday when the team faces the Los Angeles Chargers. According to a store employee, Rally Possum dolls are not yet in stock, but should be on shelves at the official team store at the stadium by Sunday afternoon.